A lecture by Prof Victor Mallia Milanes. 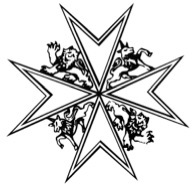 The year 1630 marked the first centenary of the Hospitaller Order of St John on Malta. What helped the Hospitaller institution to survive and recover ? What signs were there in 1630 to foretell the times ahead ? How politically relevant to Christian Europe was the Order at that stage ? What impact did the first hundred years of the Order in the central Mediterranean have on Malta and the Maltese ? In an endeavour to answer these and other related questions, the talk will focus on the state of the Order in its various dimensions - as a religious, charitable, and military institution, as ruler of a quasi-sovereign island-principality, and as a massive landowner.